Photos of Head Stones from the Overton Cemetery are at the botton of this page. IDA AGNES GRIFFIN (WILLIAM HENRY, GEORGE GRAHAM, WILLIAM HENRY) was born 23 July 1872 in Davenport, Scott County, Iowa, and died 04 September 1967 in Overton, Rusk Co., TX. She married CHARLES EAGLETON CHRISTIAN January 1895 in Texas, son of CHARLES CHRISTIAN and MINERVA MC DONALD. He was born 25 March 1865 in Hopkins County, Missouri, and died 26 June 1934 in Overton, Rusk Co., TX. Charles E. Christian was born in Hopkins County, Mo., March 25, 1865, son of Charles Louis Christian and Minerva McDonald Christian. They came to Rusk County eight years later and settled in Millville, south of Henderson in 1873. After two years they moved and settled near Overton. Here Mr. Christian grew up, attending the schools near his home, and began his farming activities. He was one of the largest cotton planters of his day. Soon he began trading in cotton and operated a gin. Mr. Christian married Miss Ida Griffin, daughter of Mrs. D. B. Griffin, a widow of Overton. They had five children, Clarence O. Christian, deceased, Bonnie Mae Christian Dean, deceased, Gordon Christian, Cleo Christian Proctor and Berti Christian, deceased. Mrs. Christian was at all times a helpmate to her husband, sharing his ideals and ambitions, making a happy home for the family. Mr. Christian was a member of the Baptist Church at Pirtle. His hobbies were fishing and fox hunting. Mr. Christian died in June of 1934 and Mrs. Christian died in Septermber, 1967.
b. 1896; d. March 1944, Overton, Rusk Co., TX. b. 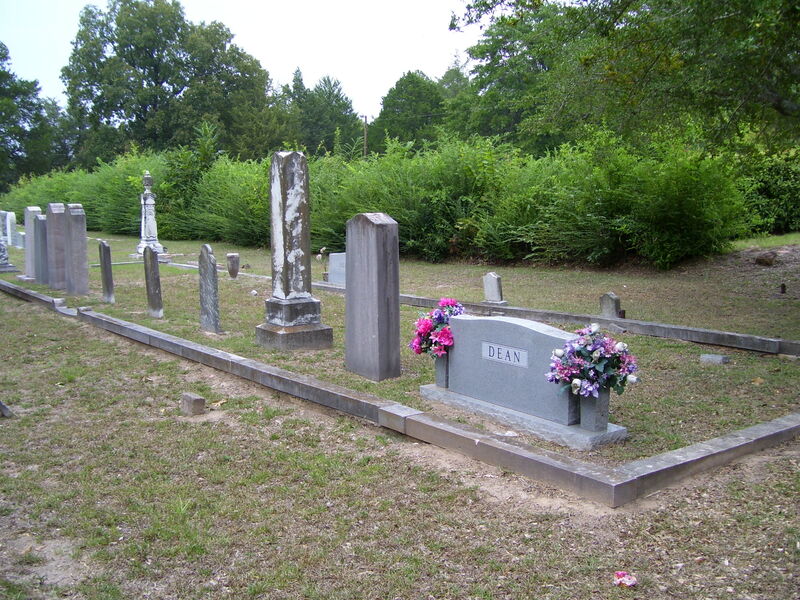 24 November 1903; d. 29 May 1954, Overton, Rusk Co., TX;Buried in Block 1 of the Old Section of the Overton Cemetery. m. S. Q. PROCTOR. S.Q. was the preacher at Sexton City in between Overton and Kilgore. After Aunt Cleo's Death He moved to Mesquite where he also had a Church. I remember S.Q. and Aunt Cleo very well. Aunt Cleo loved birds and had some in the living room. One black one who talked. Also A large salt and pepper colection along with a large shil which one of her son's made. They lived in a nice brick home on a farm where they also had cows. b. 11 October 1898; d. 07 March 1906. Buried Row 9 Block 1 of the Old Section of the Overton Cemetery. b. 19 October 1900; d. 17 November 1912, Overton, Rusk Co., TX.Buried in Row 9 Block of Old Section of the Overton Cemetery. b. 21 October 1910; d. 14 November 1912. Cleo's Husband S.Q. Proctor remarried and his grave is in the Mesquite, Texas Area.